Over the course of the years, we have put together a whole bunch of articles with practical advice for planning a trip to Salzburg. This page here aims to provide a central over-view on all articles on this website that contain useful and practical travel advice. We hope that this will be useful especially for those of our readers who are still at home and in the process of planning a vacation in Salzburg. Note that the following articles contain information about a variety of topics; there is another section dealing with the best time for Salzburg travel. 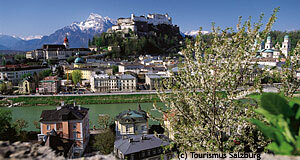 There you will find highlights for each month as well as suggested itineraries for a variety of time spent in Salzburg. Another key-section will be the one on lodging and accommodation. Happy planning!